JotForm offers two types of Layout. The All Questions in One Page (Legacy) Layout and Single Question in One Page (New) Layout. 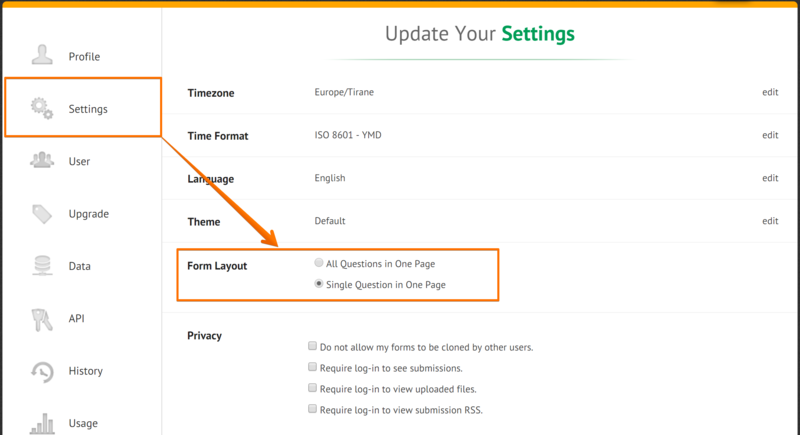 To change the Form Layout, go to form SETTINGS, click the SHOW MORE OPTIONS button, scroll down and find Form Layout and choose the desired Layout. 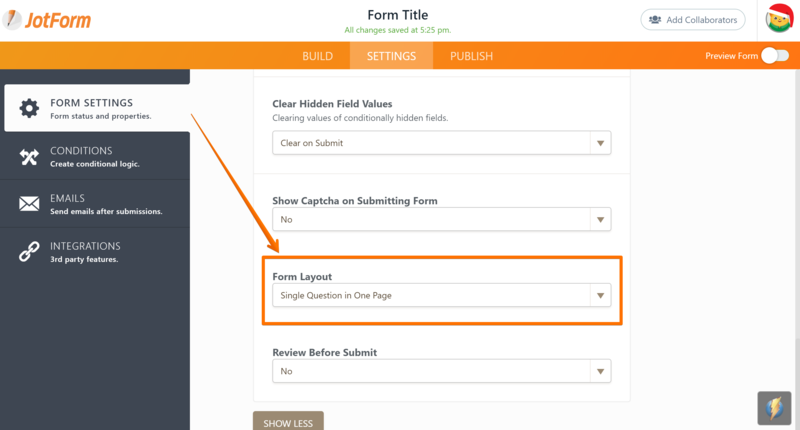 This will change the Form Layout of that form. If you want to change the default Form Layout of your account, go to your Account Settings, click Settings, find Form Layout and choose the desired Layout. Note: This will not change the Form Layout of the forms you created before. How Can I Change Spacing Between Questions? How do you change spacing between the fields in an address field? How to edit recipient email?